Described as the William Faulkner of the Breaking Bad generation, #1 New York Times Bestseller Greg Iles is no stranger to adversity in a career spanning nearly three decades as an author. Following a car accident that left him in a coma for 8 days, Greg, much like bandmate Stephen King, rejoined the legendary and notorious lit-rock band The Rock Bottom Remainders. Today we’ll discuss how his body of work has helped put his homestate of Mississippi on the map. Born in Germany in 1960, where his father ran the US Embassy Medical Clinic during the height of the Cold War, Greg spent his youth in Natchez, Mississippi, graduating from the University of Mississippi in 1983. His novels have been made into films, translated into more than twenty languages, and published in more than thirty-five countries worldwide. 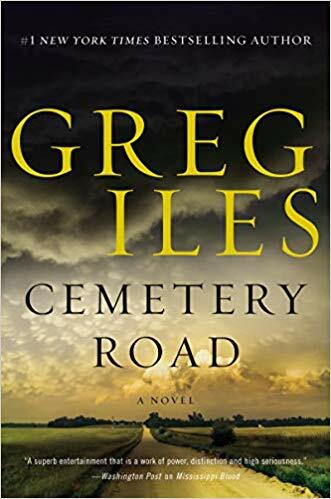 His latest is Cemetery Road. 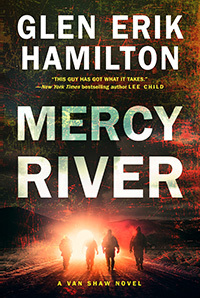 Later, while Glen Hamilton’s novels always begin and end in rain-soaked Seattle, Mercy River stays in the Pacific Northwest as the central plot sees our hero race on a mysterious quest to the arid high desert of central Oregon. A Seattle native and award-winning author, Glen returns to Conversations Live to discuss the fourth installment in his popular Van Shaw series. Glen is the current President of the Southern California chapter of Mystery Writers of America. He is a winner of the Anthony, Macavity, and Strand Magazine Critics Awards. A resident of California, he frequently returns to Seattle to soak up the rain.